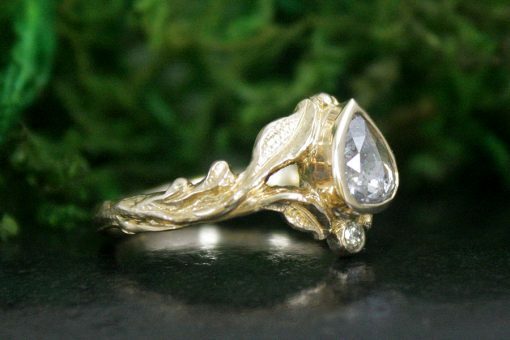 A magnificent grey coloured pear shaped diamond nestled in leafy 14k gold and kissed with glittering starlight. 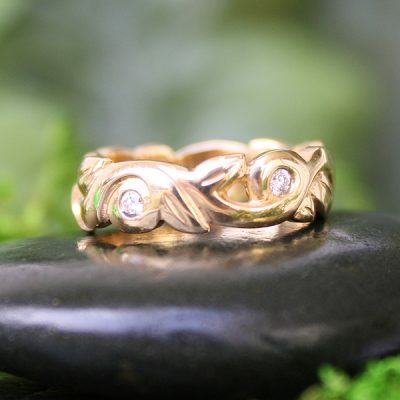 Hand carved with love in my heart. May be sized. One of a kind. 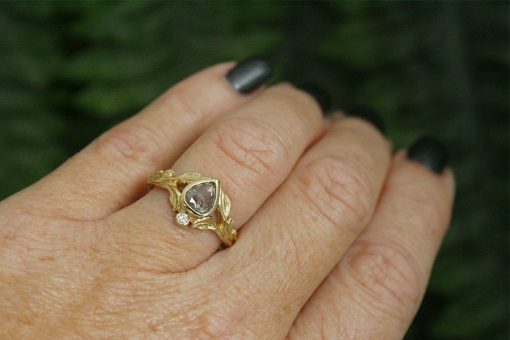 Drea represents the culmination of life’s goals served up in a beautiful glittering gift. 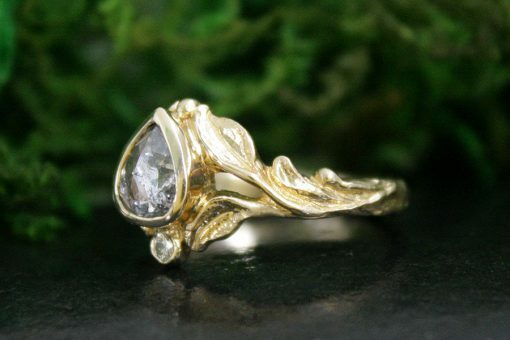 Symbolic of that non-stop climb of many years of putting one step in front of the other, to pursue that sparkling goal at the top of that mountain peak. Some days were filled with stormy and thunderous challenge, and others the sun’s brilliance easily carried you forward, lifted to higher heights….until one day, after many moons and revolutions around the sun, the climb was no longer a climb, but rather a stroll through this beautiful palace that you have spent decades nurturing and building. This palace is filled with your joys and your sorrows, strength and resilience, your dreams and the courage to pursue these, family and friends that love you, and an abundance of love. 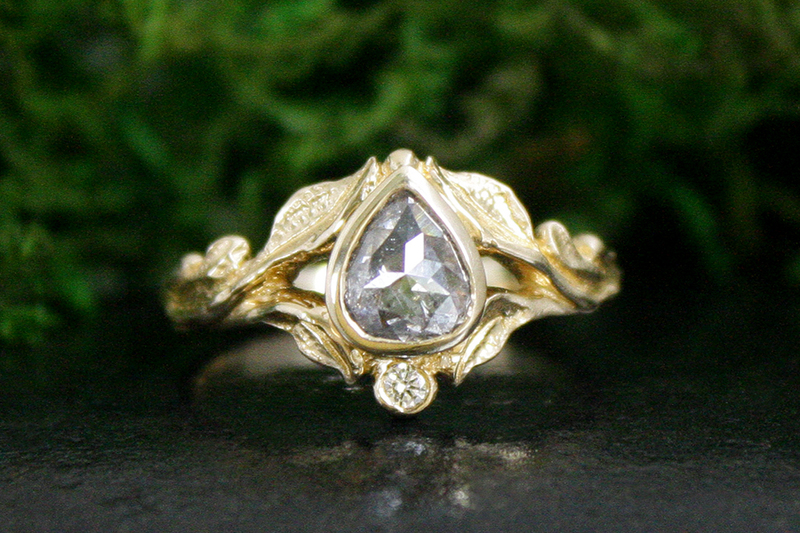 Currently I’m working with many different colours of rose cut dimaonds. 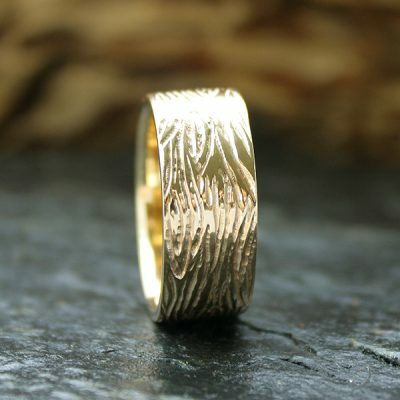 If you love this ring but would like one custom carved based on this design, the world is your oyster! MESSAGE ME to discuss your abundance of options! 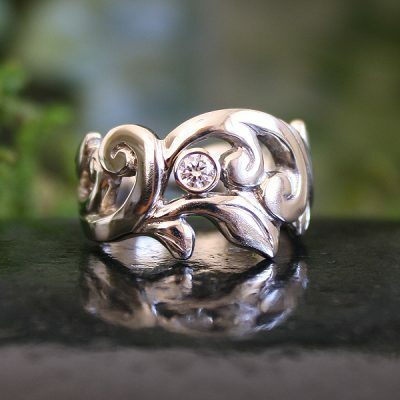 To learn more about the Forest Nymph Rings and the inspiration behind the designs I have written a BLOG.